Sometimes, when I’ve got nothing to make, telly is rubbish and I’m generally feeling bored I’ll get out the craft mags and have a browse. It was on one of these said days that I found this cute little card and decided that I really had to make it. 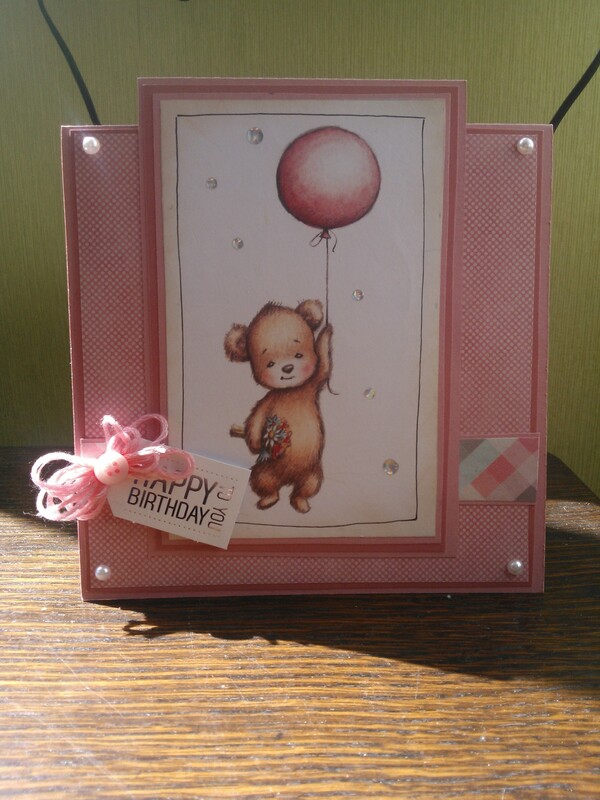 I’ve got no-one to give it to so it’s in my pile of cards just waiting for a birthday to come along :). This morning I made a start on making a gorgeously cute Chihuahua that I found in this month’s edition of Craftseller. I then got caught up in sorting out our front bedroom so didn’t get too much done. So far I have finished the head and the muzzle and I’ll post a picture as soon as he’s finished. In the meantime here’s another one of my 2014 makes. 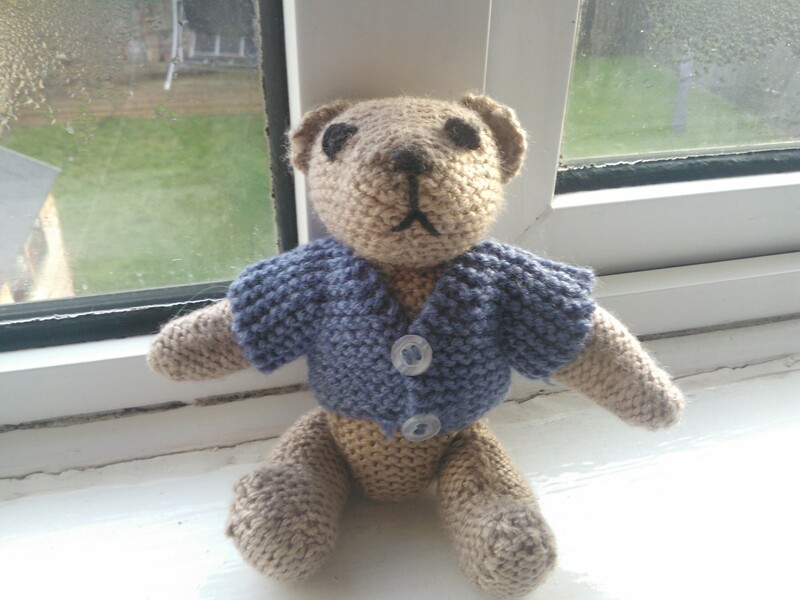 This little bear is knitted rather than crocheted but he’s still quite cute. 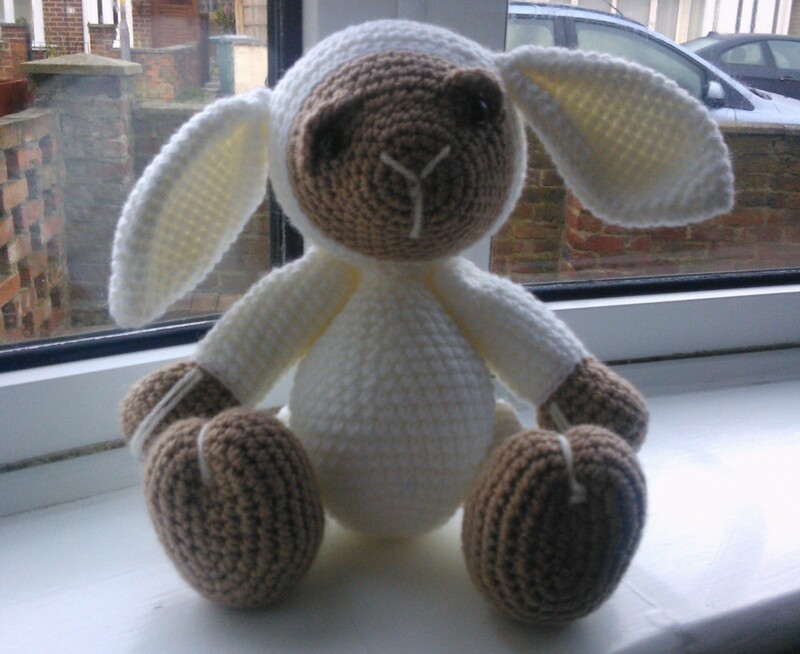 I really should do more knitting but I seem to be addicted to crochet (and better at it).